Set in Filey, this holiday home is situated 32 km from Whitby. The property is 6 km from Scarborough and free private parking is available. A dishwas..
Set in Scarborough, this holiday home is 5 km from The Spa Scarborough. 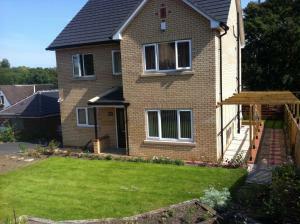 The property features views of the garden and is 6 km from Peasholm Park. The..
Set 43 km from York and 28 km from Whitby, Peartree Farm Cottages offers pet-friendly accommodation in Ebberston. It provides free private parking. A..
Seagull Cottage offers accommodation in Flamborough, 26 km from Scarborough. The unit is 44 km from Kingston upon Hull. There is a dining area and a .. The Bait Shed is a holiday home situated in Filey in the North Yorkshire Region and is 37 km from Whitby. The unit is 11 km from Scarborough. There i.. 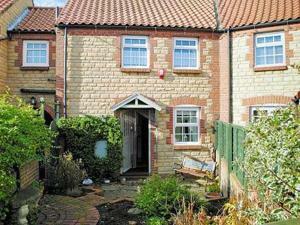 Situated in Filey, this holiday home is located 37 km from Whitby. It provides free private parking. The kitchen features an oven and a toaster and t..
Dovecot offers accommodation in Filey, 32 km from Whitby. The property is 6 km from Scarborough and features views of the garden. There is a dining a..
Swallows Cottage offers pet-friendly accommodation in Filey, 36 km from Whitby and 10 km from Scarborough. The property is 16 km from Bridlington and ..
White House Apartment 2 is a holiday home located in Filey in the North Yorkshire Region and is 40 km from Whitby. It provides free private parking. .. 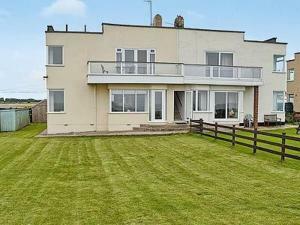 Situated in Filey, this holiday home features a garden with a barbecue. The property is 32 km from Whitby and free private parking is provided. An ov.. Located 47 km from York, Geasea Cottage offers pet-friendly accommodation in Sawdon. The unit is 27 km from Whitby. Free WiFi is available throughout .. Situated 800 metres from Peasholm Park in Scarborough, Phoenix Court features free WiFi access and free private parking. Guests can enjoy the on-site .. 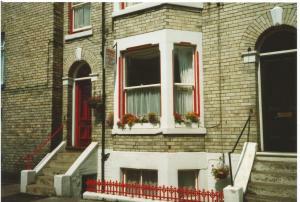 Parade Holiday Flats offer self-catering apartment accommodation in the centre of Scarborough. Free private parking is available on site, and free WiF.. Featuring free WiFi and a patio, Orchard House is a holiday home, set in Scarborough. Featuring free private parking, the holiday home is 700 metres f..
Glenhow Apartment is a holiday home with a garden, set in Bridlington. The property is 28 km from Scarborough and boasts views of the garden. There i..
Wheatsheaf Cottage is a holiday home situated in Sawdon, 48 km from York. The property is 25 km from Whitby and free private parking is offered. Ther..